Demonstrates basis of digital communications. 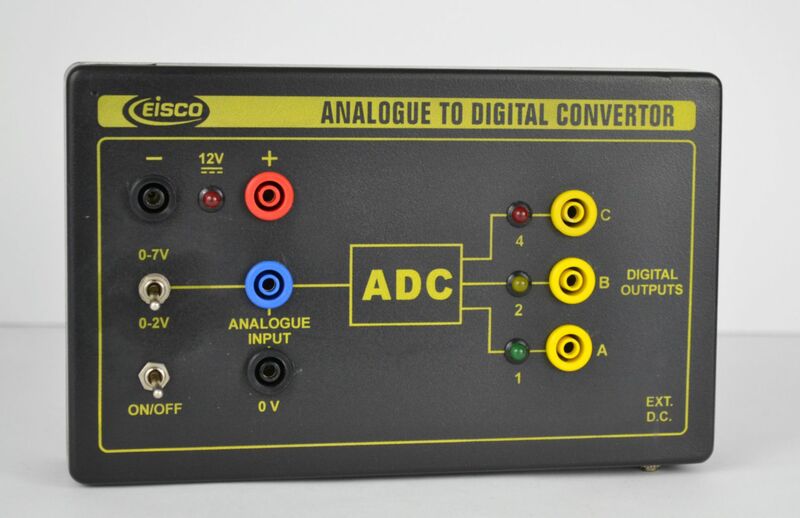 This is great companion unit the Labs Analog to Digital Converter (PH1366). A 3 bit binary input (0 V represents 0 and 5 V represents 1) is converted to 0 to 7 V analogue output. By using the two units together the sampling process can be demonstrated to show that information is lost during the conversion process. 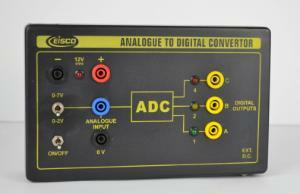 The Digital to Analog Converter can be powered from the ADC or from a separate 12 V power supply.